Chief Ray began his career in 1984 as an auxiliary state trooper with the Florida Highway Patrol. In 1987 he started his career as a deputy sheriff with the Polk County Sheriff’s Office. During his 25 year career at the Sheriff’s Office he had various assignments including patrol deputy and traffic crash investigator; he served on the PCSO Honor Guard; he supervised the agency’s first COPS Unit; he managed the School Resource Unit; he also acted as supervisor for several other units, including the agency’s Traffic Unit and Special Victims Unit. Andy Ray retired as a Captain from the Polk County Sheriff’s Office on September 2nd, 2012 and immediately began his service with the Auburndale Police Department as the Deputy Chief of Police.  Andy Ray became the Chief of Police for Auburndale on September 6th, 2018. Chief Ray holds an Associate of Arts Degree from Polk State College, a Bachelor of Science in Criminology from The Florida State University, and a Master of Public Administration from Troy State University. He is a graduate of the Southern Police Institute 103rd Administrative Officers Course at the University of Louisville. He is also a graduate of the Police Executive Research Forum’s Senior Management Institute for Police held in Boston, Massachusetts. Chief Ray has obtained numerous law enforcement and leadership certifications, and is an active member of the Polk County Police Chiefs’ Association and the Florida Police Chiefs’ Association.